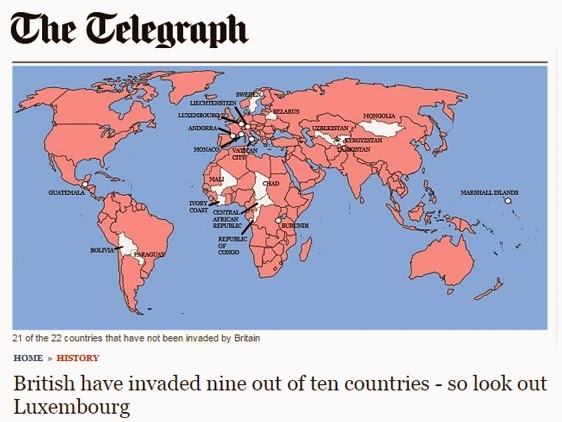 The British have invaded almost every country, reported The Telegraph on Sunday. Only 22 of the globe’s countries remain untouched by a British intrusion involving “..force, the threat of force, negotiation or payment”, noted The Telegraph. Included in the “amazing and humbling” list of British invasions were those undertaken by “pirates, privateers or armed explorers”, so long as they were, “operating with the approval” of the British government. 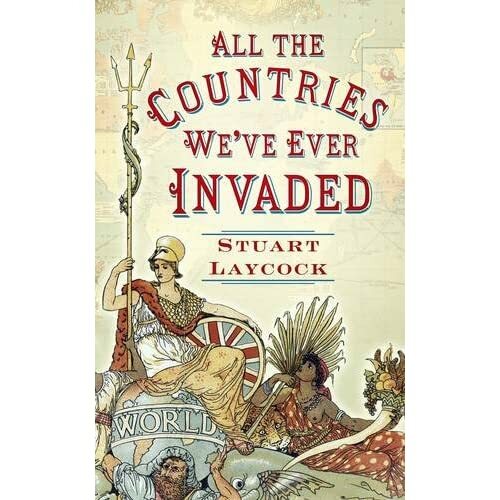 Expressing pride in uncovering so many British invasions, author Laycock said, “I don't think anyone could match this, although the Americans had a later start and have been working hard on it in the twentieth century." He added that his compilation of British conquests could be greater – and called upon the public to tell him of other Anglo attacks that he might have missed. Mr Laycock called his tally of British assaults as “a light-hearted bit of fun” but added it was also “intended to prompt debate”. "It appears that the British have been the most prolific illegal immigrants in the history of the world." After 15 hours of pondering my comment, The Telegraph moderators decided to remove it – whilst allowing about 600 comments by other readers to remain. When I asked why, “The Moderators” replied that I might not be aware that my comment had contravened The Telegraph's Terms and Conditions. Jon Danzig's comment achieved 15 hours of fame - but was it too anti-British Empire for The Telegraph newspaper? Jon Danzig's comment was removed by The Telegraph Moderators after 15 hours, despite being approved by almost 100 Telegraph readers. The truth hurts, I guess. But as I said in a comment somewhere, we in NZ were better off than having the French or Germans as overlords. Always difficult to understand and learn the truth about ourselves and difficult to be proud of so much fighting. However interesting that the English speaking colonies have prospered in a way that the Spanish speaking colonies didn't. I know this is an old article but I thought I would share my own experience with making comments on the Daily Telegraph news articles. I find my comments are often rejected simply because they have a differing view from the highly biased editors and apparently narrow minded majority of readers. You comment an opinion or state a fact and it will get rejected if it is even remotely open minded or challenging the extreme right winged bias. Yet verbal abuse and insults are accepted by the dozens. We are living in Australia and we have this sort of blatant censorship. Such a disgrace! Right, the UK or Spain are being invaded right now, that´s what I have said all along. They come to our countries to take away as much as they can, try to impose on ourselves. David, where is the evidence to support your allegation? On the contrary, EU expats in the UK have been making a substantial net contribution to UK funds in the past ten years. Rather than being a burden, they are actually helping to pay off our national debt. Also, EU migrants came here legally. The same cannot said of Britons in the past who invaded 90% of the world's countries.